335 years ago today, William Penn sold 500 acres of land in Pennsylvania to John Kirton. The date was recorded as 1681, but as the new year in England at that time began on March 25, this is actually February 1682 according to the present calendar system. The deed recording this transaction is one of seven documents gathered in a volume some time after 1916 as examples of the signatures of four generations of the family of William Penn, founder and proprietor of Pennsylvania. The deed has William Penn’s own signature and seal. The volume, a recent gift from Caroline F. Schimmel, is now Ms. Codex 1809 at the Kislak Center for Rare Books, Manuscripts and Special Collections. The signers of the other documents range from William Penn’s father in 1667 to one of his grandsons in 1787. Along with six men of the Penn family appears Hannah Callowhill Penn, William Penn’s second wife. At the end of William’s life, Hannah conducted his business from England and continued to manage his estate and their affairs between his death in 1718 and hers in 1726. Her manuscript in the collection is a business letter, entirely in her hand, written to James Logan in Philadelphia in May 1718, a few months before William’s death. 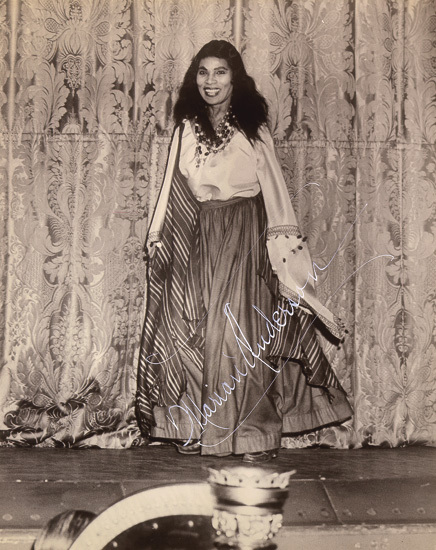 Sixty years ago today, when the contralto Marian Anderson appeared at the Metropolitan Opera as the fortune teller Ulrica in Giuseppe Verdi’s Un ballo in maschera, she was the first African-American to sing a solo role at the preeminent opera house. The Marian Anderson Papers (Ms. Coll. 200), one of the treasures of the Kislak Center for Special Collections, Rare Books and Manuscripts, include not only photographs from that groundbreaking performance, but also rehearsal notices from the Met, the program from the performance, and responses from the press and admirers. Earlier this month, Middle East Studies Librarian David Giovacchini brought a Turkish manuscript to the Special Collections Processing Center for cataloging. David had already created the core of a catalog record for the manuscript, identifying the author, text, and the source manuscript from which this manuscript had been copied. But there was also a bit of mystery: there was no information about how or when the manuscript had come to the Penn Libraries. The manuscript is a 20th-century copy of Ms. Veliyüddin 2351 in the Bayezidiye Library in Istanbul. The text is the sixth part (the only part now extant, largely a history of the Ottoman dynasty) of the late 15th-century universal history Cihannüma by the Ottoman historian Neşrî. Some of this information was written in a note, in English, pasted inside the upper cover. David also knew that Franz Taeschner, professor of Islamic studies at Münster in the mid-20th century, had used this manuscript in his scholarly work on this text. In a routine search of Penn’s catalog for other copies of the same work, I was surprised to find that Penn’s Ms. Codex 38 is another manuscript copy of the Cihannüma, a 19th-century copy of a manuscript in the Nationalbibliothek in Vienna. I was even more surprised to discover that it had exactly the same kind of note in English pasted inside its upper cover, with a citation to Taeschner’s work. At some point in their histories, these two manuscripts had passed through the same hands. The date of Ms. Codex 38’s arrival at the Penn Libraries was also unknown. The two manuscripts also have similar inscriptions in pencil near the notes: Ms. Codex 38 is marked 426/1204 and the new manuscript, now Ms. Codex 1643, is marked 426/1207. 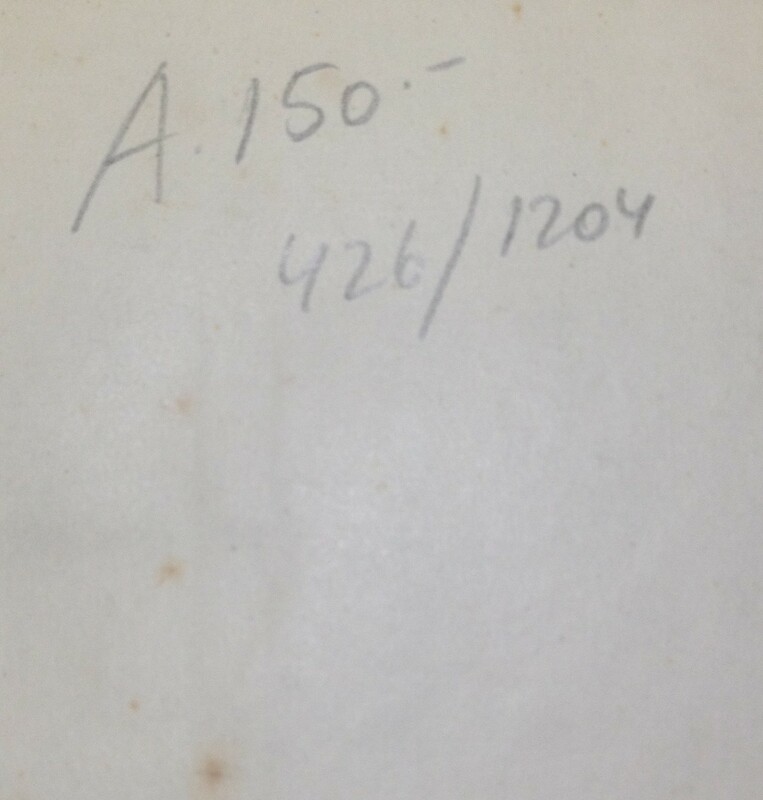 Attempts to find more information about Franz Taeschner led to the discovery that the catalog of his library of Turkish materials, published by Brill in 1970 after Taeschner’s death in 1967, was numbered 426. So almost fifty years ago these manuscripts were together in his library. 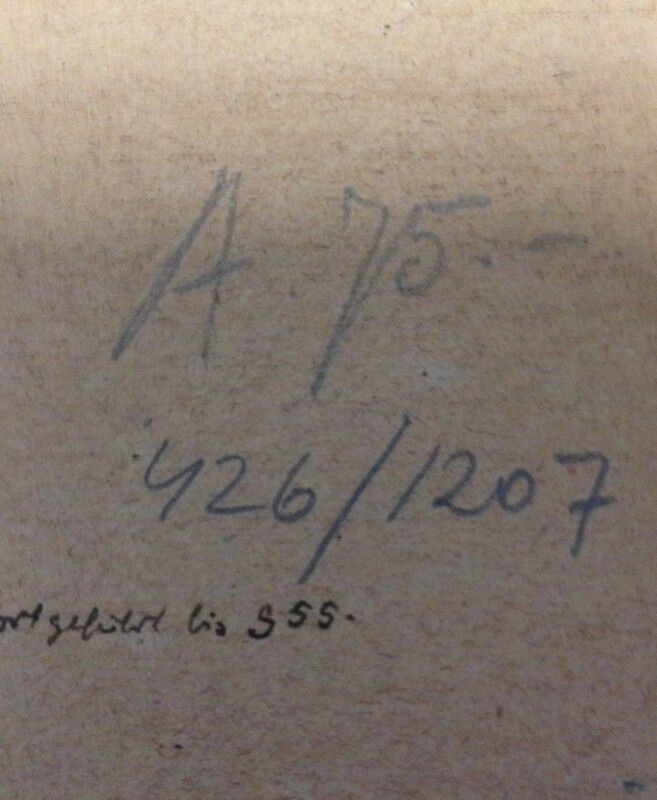 The English notes perhaps were added as part of the sale process, as the pencil numbers certainly were. And the manuscripts came to Penn after 1970. Whether they arrived together or separately is still a mystery for now.